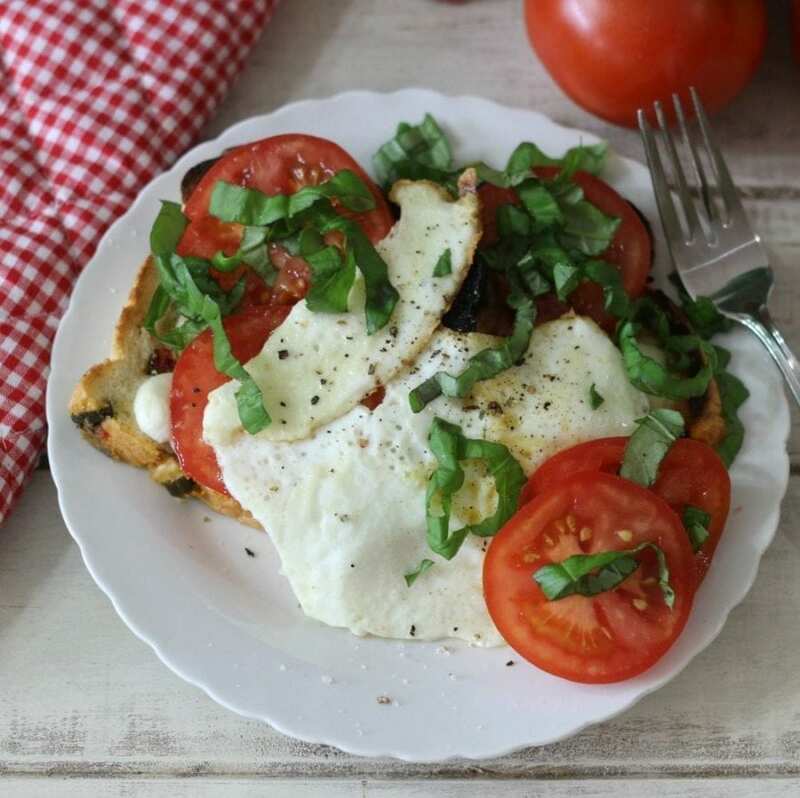 You know how much I love the combination of tomatoes and basil, well today I am sharing with you another creation with tomatoes and basil. I went to the Farmer’s Market this past weekend and they had the best smelling tomatoes on the vine. I couldn’t resist buying some. So plump, juicy and reminds me of summer. I can’t wait to get my tomato plants into the garden. I also bought a basil plant from Trader Joe’s that I keep in the window sill in my kitchen for easy grabbing. 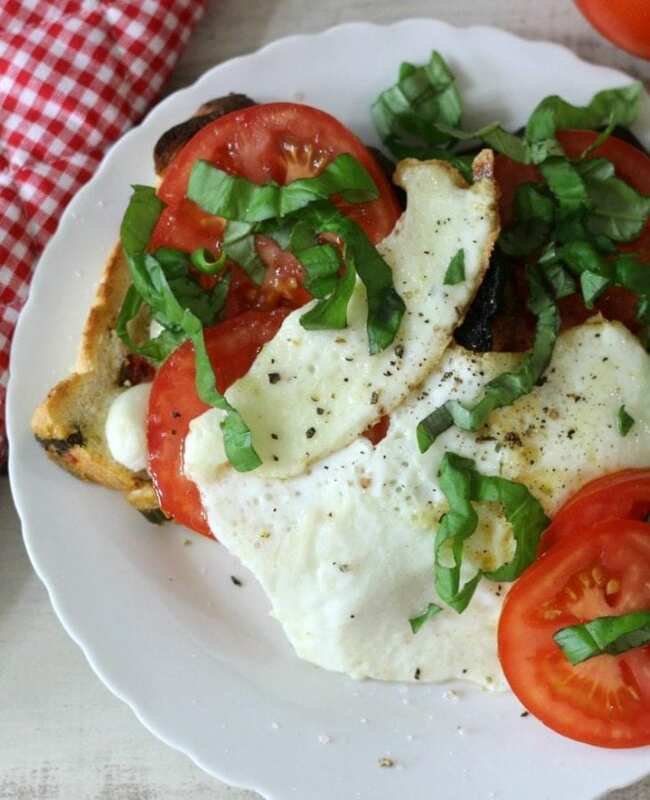 With all of this excitement of fresh summery produce I made for you today a Caprese Egg Sandwich. Let me tell you, O.M.G!! It was so good. I can see having this a couple of times a week, yes I love it that much. This sandwich really blew my mind. It’s savory, a little spicy because I used Jalapeno Bread that my friend sent me from Pennsylvania, plus it tastes fresh. The egg on the sandwich made is smooth and creamy. Talk about taking a basic sandwich up a notch, just add an egg. So good! I have had this recipe in mind for a couple of weeks and I am so glad I finally made it. The sandwich is a breeze to make. Like I said, I used jalapeno sliced bread, but any kind of sandwich bread you like will work perfectly. I had mini mozzarella balls from Trader Joe’s and I sliced them in half and added it to my bread. Popped it in the broiler until the cheese started to melt. While I did that I cooked a simple fried egg. 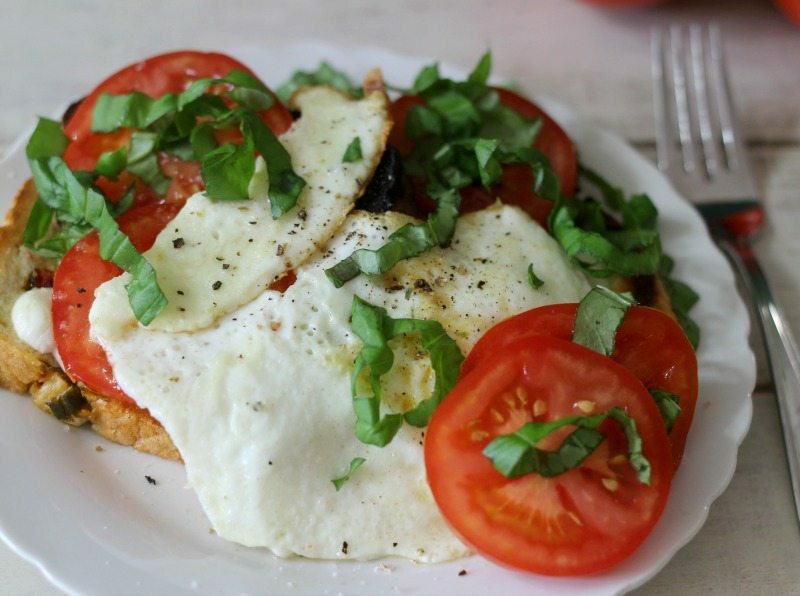 Topped my sandwich with tomatoes and put the egg on top than of course you can’t have a caprese without basil, so I added the basil over the top. It was amazing! Can you tell how excited this sandwich makes me? 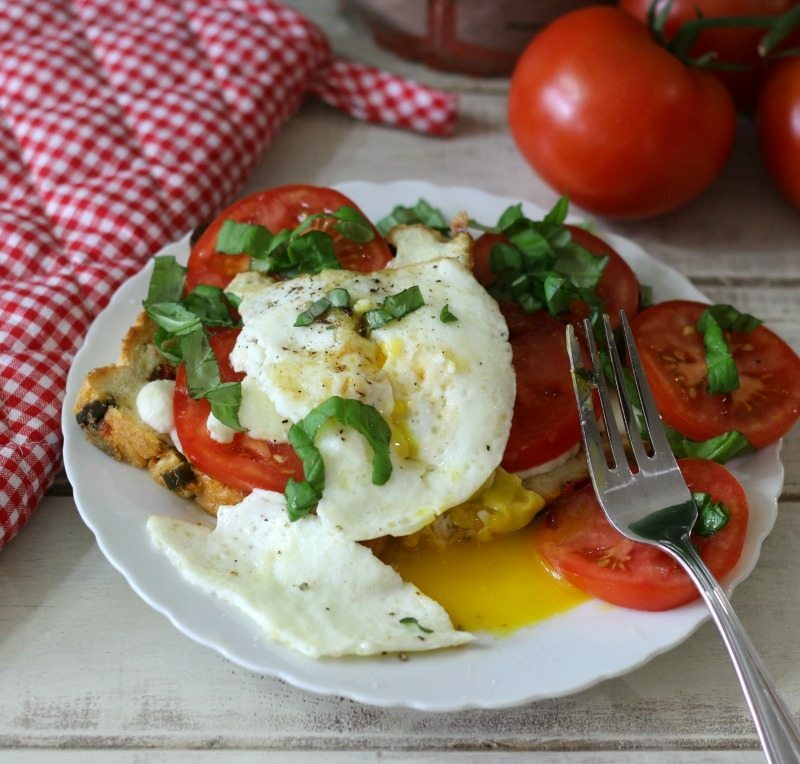 A light Italian sandwich topped with melted mozzarella cheese, fresh tomatoes a fried egg and basil. Line a small baking sheet with parchment paper. Add the 2 slices of bread and top each bread evenly with mozzarella cheese. Place in broiler and cook until cheese is softened; about 1 minute. Take out of the oven and drizzle with just a pinch of olive oil. Place the bread on serving plate. Top with sliced tomatoes and season with salt and pepper. Over medium low heat, in a small skillet; add butter. When butter melts, add the egg and cook for 2 minutes, flip and cook for about 1 minute. Place egg over sandwich. Sprinkle with salt & pepper if desired. Top with sliced basil. I used jalapeno sliced bread, but any kind of sandwich bread you like will work. 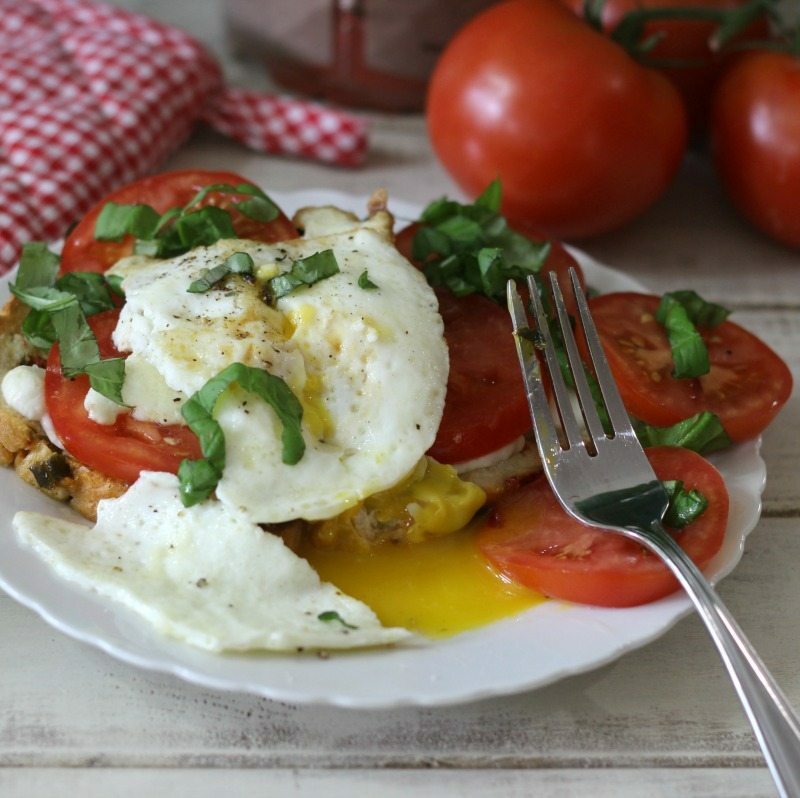 This sandwich is perfect for dinner or breakfast. There are no rules when you want to have it. I bet it would even be good if you added a little bacon. Yum! I am looking so forward to Summer. I am already getting geared up with my summer recipes. Great idea to add egg! Yum!